We’ll be the first to admit we may be a tad biased, but when it comes to chic design, there are few tools as versatile as mirrors. Suited perfectly to a modern, minimalist aesthetic, a grand, elegant design, or anything in between, mirrors bring splendour, enlarge and brighten your space, and are flawlessly classic with no risk of ever being found kitsch. 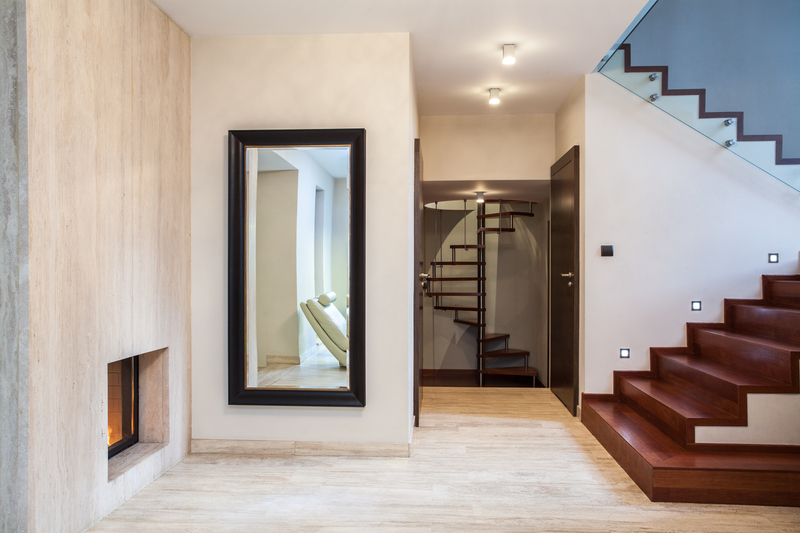 Here are just a few ways to use mirrors in your home. Perhaps your home faces North, or maybe you just want to utilize every last ray of light coming in, either way: a mirror can complement any window as a perfect twin. Placed across or at an angle to your window, the mirror will distribute or double the light in the room. With careful consideration, your mirror can be positioned to reflect both natural light from the outdoors as well as from your light fixtures during the evenings. If you’re not quite sure where you want to place your mirror, bring in your ideas to discuss with our experts. It would be our pleasure to find the perfect placement for your new framed mirror. Calgarians enjoy having ample personal space. Maybe it comes from living on the prairies, or it’s just a part of the Albertan culture, but we like our homes to be large and open. However, even the grandest spaces can look bigger yet. A framed mirror creates an illusion that a room is twice as big as it actually is. If one of your rooms is lagging in awe-factor, the right mirror will create a debonaire focal point that draws the eyes and enlarges the room. With a new mirror demanding attention, a room that once felt small and over-busy, can feel spacious and focused. At House of Mirror & Glass, we’re proud to offer custom designed mirrors that are created to fit your unique home. But we know that many Calgarians want a ready-made framed mirror that they can bring home today. That’s why we offer a large selection of beautiful framed mirrors in three sizes: 24”x36”, 30”x42”, and 20”x60”. It’s our pleasure to invite all Albertans to join us in our showroom to select their favourite, ready-made framed mirror. If you can’t find something that’s just right, our talented craftspeople will work with you directly to design and create a custom piece just for your home. Can’t wait to find the perfect framed mirror to brighten your home? You’ve come to the right place! We welcome homeowners from across Alberta to explore our showroom. We’re certain you’ll find a framed mirror that suits your home, and if you want something extra special, we can help create something unique just for you. Call us today at (403) 253-3777 to tell what you need and how we make completing your home hassle free.